As Great Britain reflects on a triumphant Rio Olympic Games that showcased just how fit our young people can be, the reality remains that we have a major problem at home with obesity. Last week, the Government released its long-awaited strategy document ‘Childhood obesity: a plan for action’. But, says Mars Skae, this major opportunity for positive change has failed to deliver on a number of important fronts. My first thought when the UK government brought out ‘Childhood obesity: A plan for action’ was to question the timing of its release. If nothing else, it’s ironic that this highly important plan for action on obesity came out amidst the 2016 Olympic games, with news reels delayed on the BBC because Team GB’s performance has been so outstanding. The cynic in me cannot help but ask, was the Olympic fever acting as a smoke-screen to hide the inadequacies of this plan to ‘significantly reduce’ England’s rate of childhood obesity in the next 10 years? The tone of the document also raises concern in that although it claims that the Government is clear in its goals and the firm action it will take, the plan is said to represent merely the start of a conversation around this extremely important topic, one that will affect the health of the nation for years to come. Given that the Foresight report published just under a decade ago in 2007, was meant to be the Governments think-tank exploration of solutions to the obesity epidemic, one would hope that being at the start of a conversation is not where we want to be now. All is not lost however, as the Government has, within this strategy, finally taken the brave decision to introduce a soft drinks levy on producers and importers of sugar-sweetened drinks from 2017, giving the industry a generous two years in which to make changes to their product recipes. So far, so good. Nevertheless, one has to question whether this will this lead to a gradual change in the ‘sweet tooth’ of a population, with reduced cravings for high sugar drinks or just continued consumption of sweet drinks that have sugar alternatives and sweeteners present, instead? Wise et al., earlier this year in the American Journal of Nutrition demonstrated that over a 5 month period, adults who had a substantial reduction in sugar consumption in their diet, found that after two months their perceived taste of sweetness intensified, with no reduction in the pleasure received from consuming foods with lower sugar content. In other words, like dropping or reducing the sugar in your cup of tea, you can get used to it. So the Government’s decision, led by Public Health England (PHE), to introduce a manufactured food sugar reduction programme that will ultimately reduce sugar by a fifth in product recipes by 2020, is sensible. But does the food manufacturing industry really need four years in order to do this? A limited 5% reduction per annum seems very generous given that this topic has been debated for a number of years already. And once again, no directive has been given regarding the substitution of simple-sugars with artificial sweeteners or sugar alternatives, which would defeat the purpose of the project in the longer term in changing the taste of a nation. Other changes that were meant to yield promise and bring cultural shifts in food consumption include updating the current nutrient profile model (the standard set for quantities of constituents in foods such as sugar, protein and fibre), which is meant to help individuals recognise healthier choices through its effects on advertising restrictions. This seems hardly anything to write home about and is a given ‘to do’ for PHE. Another expected role of PHE is making healthy options in the public sector an essential change. How is it that my hospital canteen has hardly any calorie and food content data on any of the cooked food being sold to parents and children on a daily basis apart from pre-packed items? Why are there presently no healthy eating information posters available to help staff and members of the public make the right choices? Announcing continued support to the Healthy Start Scheme also seems hardly ground-breaking. Encouraging all children to enjoy an hour of physical activity daily has long since been a recommendation of the UK Chief Medical Officer (CMO) and has been a part of the National institute of Health and Clinical Excellence (NICE) obesity guideline recommendations. Hence there is nothing new there. Did it really take for a Head Teacher from Stirling, Elaine Wyllie, to hit the headlines in June last year with the school’s ‘daily mile’ scheme to make the reality of a simple, easy, daily 15 minute intervention a possibility for all schools. Interventions that build into daily routine and are introduced across the board in schools and are not just targeted at obese or overweight children, bring benefit to all without stigmatisation. It is also well recognised that when immersed in a culture where the norms are healthy living, the sustained benefits of weight loss interventions are far more effective. So how is it then that the Government’s introduction of a new healthy rating scheme for primary schools from September 2017 will only be voluntary? In fact looking through the document, the plan uses the terminology ‘voluntary, encourage and explore’ 14 times throughout the document, which would suggest a rather passive approach to tackling a problem that really requires a more definitive and decisive approach. There is no acknowledgement in the plan of the prevalence of obesity among those children with learning difficulties who are not able to make healthy food choices for themselves, nor is there any commitment to educating families on how to produce their own easy, healthy and cheap food that has lower sugar, saturated fat and salt content. Most of my obese patients are only at best given a term at school in home economics because more often than not, the course is over subscribed. Last but not least, how can one ignore the food advertising industry that seems to have not been mentioned in the document at all? Excluding advertisements for fast foods, confectionery and breakfast cereals and yoghurts, the vast majority of food advertising is celebration food centring around the extravagance of Easter, Halloween, Christmas, Father’s and Mother’s day. Surely there should be an onus on food suppliers such as large-chain supermarkets to encourage cooking from scratch of accessible recipes to the general public that do not require the consumption of expensive seafood, various exotic spices and flavourings or copious amounts of olive oil? Overall, harsh as it may seem, the plan for action doesn’t seem like much of a plan at all with minimal definitive or innovative change being introduced. Compare this action plan’s content with the recommendations from the 2013 ‘Measuring up’ report’, which was a combined set of recommendations by the Academy of Royal Colleges. Representing the medical profession’s take on the subject, this had 10 key recommendations for an action plan to tackle obesity, including recommendations for reducing the proximity of fast food outlets to schools and suggested changes to junk-food advertising, particularly online ‘on-demand’ services. Sadly, in comparison, this plan seems like slim pickings. Dr. Mars Skae is a paediatric endocrinologist with a particular interest in childhood obesity. She has previously been on the NICE obesity guideline development committee and NICE quality standards advisory committee. 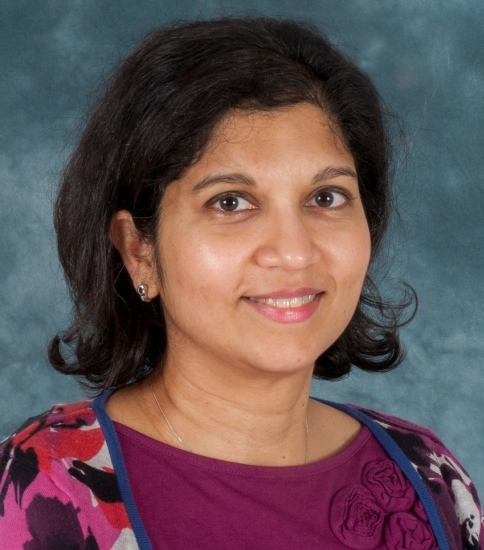 She is the guidelines officer for the British Society of Paediatric Endocrinology and Diabetes and actively runs a service to see children with complex multiple comorbidities with morbid obesity at the Royal Manchester Children’s Hospital.